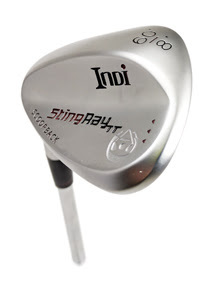 VISTA, CA, November 16, 2018– Indi Golf, design and manufacturer of high-performance golf clubs, introduces new left-handed StingRay and StingRay TT wedges featuring optimal spin, control and forgiveness. The wedges are available for pre-order starting November 15, 2018, with shipping beginning in early December. StingRay wedges are engineered with TractionFace technology, which uses a proprietary open square groove shape and pattern to create tremendous backspin and optimal launch conditions. These aggressive box grooves increase spin by 50% and are so effective that StingRay exceeds the performance limits outlined in the Rules of Golf, making them ideal for recreational golfers. StingRay TT remixes TractionFace technology with another revolutionary groove shape and pattern to optimize launch and increase backspin by 20% on a full swing while Conforming to the Rules of Golf. Both wedges feature Indi Golf’s proprietary ScoopBack design to create maximum forgiveness by moving mass higher in the face, and toward the toe. This optimizes the location of the club’s CG, making the head more stable on off-center contact, helping shots feel better, go straighter, spin more and end up closer to the hole. The ScoopBack design is not a muscle back or perimeter-weighted design but is a combination that brings the player the best of both worlds. LaunchControl – A lower launch and higher spin combination allows golfers to be more aggressive and reduces the influence of elements on the ball. The left-handed StingRay TT and StingRay wedges are available in lofts of 52, 56 and 60. The StingRay TT right-handed wedge is available in lofts of 46, 48, 50, 52, 54, 56, 58 and 60-degrees, and conforms with the Rules of Golf. The StingRay right-handed wedge is available in lofts of 50, 52, 54, 56, 58 and 60-degrees, and does not conform with the Rules of Golf. MSRP is $159.99. 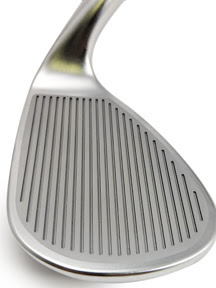 For more information, visit www.indigolfclubs.com. Indi Golf was the dream child of three good friends who love the sport of golf, and were lucky enough to have accomplished careers designing, engineering, and selling golf product. We respect the sport of golf and have a deep desire to grow the game by bringing its enjoyment to all walks of life. Every individual golfer connects with the sport in their own way, and it is our goal to give golfers top tier, quality product that will help them to not only perform at their best, but enjoy at their best!